The new Maruti Ertiga based crossover will initially go on sale in Indonesia, while launch in India is not yet ascertained. Maruti Ertiga, the 7 seater MPV launched in India in November 2018, has been seeing decent sales, inspite of troubled times in Indian auto industry. After Toyota Innova Crysta, it is the best selling MPV in India. Just like most Maruti cars, the Ertiga too is loved by consumers for its affordable pricing, fuel efficiency, vast service network and good resale value. 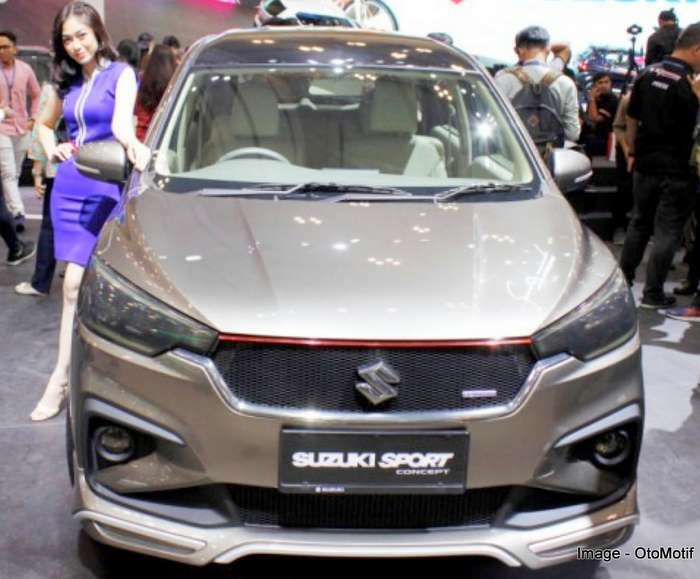 It is now learnt that Suzuki is working on an Maruti Ertiga based crossover, which is slated to make its global debut at the end of this year. Launch will initially be in Indonesia. 2019 Ertiga crossover will share a number of design elements with the Maruti Ertiga MPV. 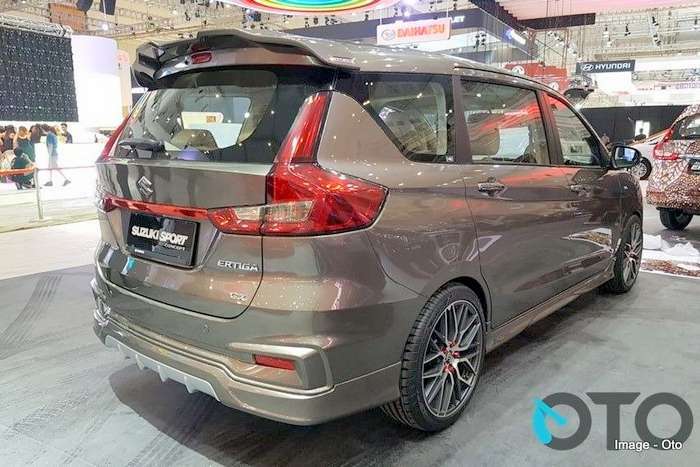 Suzuki Ertiga Sport concept shown for reference. Image – OTO. It will receive new body panels, graphics and extensive use of chrome over its exteriors so as to enhance its sport stance. Reports suggest that the Maruti Suzuki Ertiga based crossover will also get new front and rear bumpers along with added body cladding and larger alloy wheels. The design could also be inspired by the Suzuki Ertiga Sport concept which made its debut last year. The Ertiga based crossover will be seen in an all black interior with features such as multifunction steering wheel, automatic climate control, power windows, dual front airbags, ABS, EBD and a SmartPlay infotainment system with navigation, Android Auto and Apple CarPlay. Ertiga Sport concept photo for reference. Though different in looks as compared to the Maruti Ertiga MPV, the crossover is reported to share the engine lineup with the Ertiga. India launch is not yet confirmed. But considering India is one of the biggest market for the Ertiga, it could be launched here, most likely at the 2020 Auto Expo in Feb next year. In India, the Maruti Suzuki Ertiga is powered by a 1.5 liter petrol engine and 1.3 liter diesel engine. The 1.5 K15 petrol engine is the same as that offered on the Ciaz and makes 103 bhp power and 138 Nm torque. The 1.3 liter DDiS 200 diesel engine offers 89 bhp power and 200 Nm torque. Both engines get mated to a 5 speed manual gearbox while the petrol engine also gains a 4 speed automatic. The petrol and diesel engine on the Maruti Suzuki Ertiga get SHVS mild hybrid system which could also make its way to the Ertiga based crossover. The two engines offer fuel efficiency of 19.34 kmpl on the petrol and 18.69 kmpl on the petrol automatic going up to 25.47 kmpl on the diesel engine.